Maha Shivaratri is a Hindu festival celebrated annually in honour of Lord Shiva as the “Great Night of Shiva”. 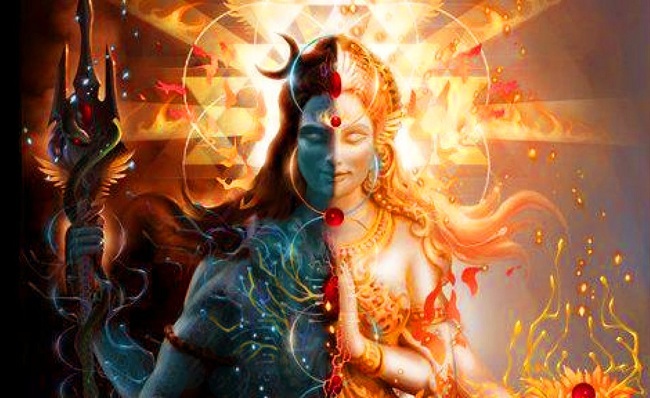 Mahashivratri is celebrated in the month of Phalgun –February/March that marks the end of winter and the coming of spring. Maha Shivratri represents overcoming “darkness and ignorance” in life and is observed by remembering Shiva by chanting prayers and meditating. The ardent devotees keep awake all night. Others visit one of the Shiva temples or go on pilgrimage to Jyotirlingams. This is an ancient Hindu festival whose origin date is unknown. Different legends describe the significance of Maha Shivaratri. According to one legend in the Shaivism tradition, this is the night when Shiva performs the heavenly dance of creation, preservation and destruction, the “Tandav Nitya”. The chanting of hymns, the reading of Shiva scriptures and the chorus of devotees join this cosmic dance and remembers Shiva’s presence everywhere. According to another legend, this is the night when Shiva and Parvati got married. A different legend states that this is an opportunity to get over past sins if any and restart on a virtuous path and thereby attain liberation. Mahashivratri is celebrated all over India. 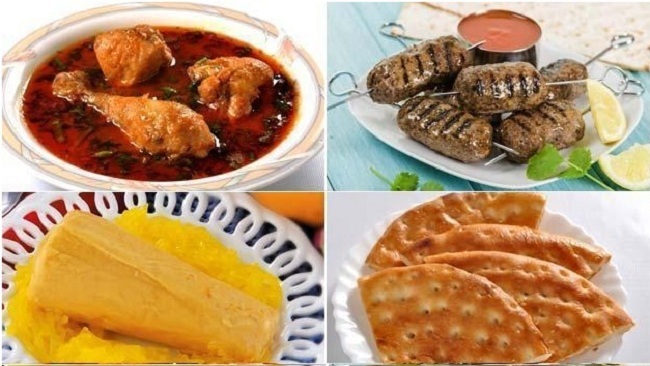 However, some places are known for their special celebration. The most important and significant festival of Khajuraho is “the night of Shiva”. The Maha Shivratri Festival at Kharuraho Shiva Temples is an elaborate one. The 2.5 meter high Lingam of the Kandariya Mahadeo Temple is dressed like a bridegroom and the puja ceremony is carried on throughout the night. 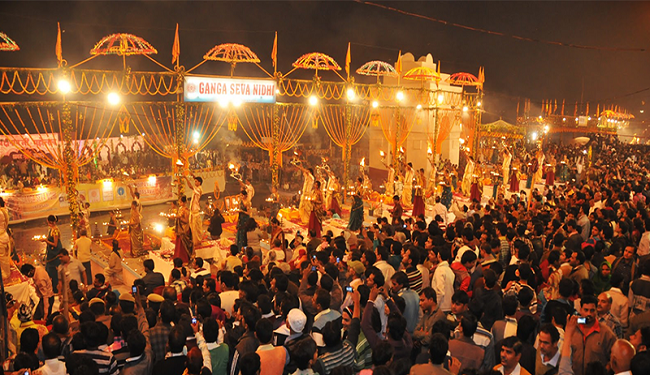 The Puja is followed by a grand festival. 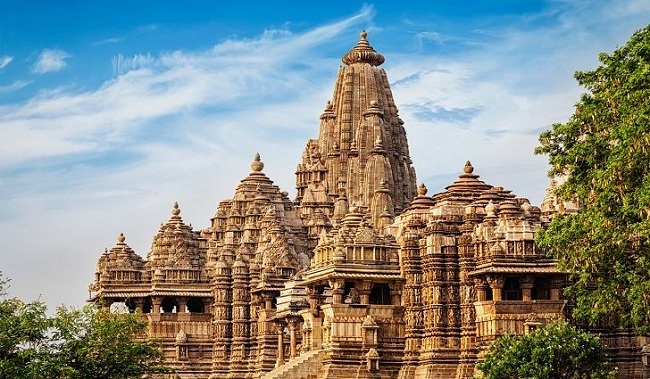 The 7 days Khajuraho Dance Festival is held during the occasion of Maha Shivaratri on an open-air auditorium in the temples of Chitragupta and Vishwanatha to showcase the best Indian Classical Dances. The Maha Shivaratri has served as a historic confluence of artists for annual dance festivals at many major Hindu temples such as at Konark, Khajuraho, Pattadakal, Modhera and Chidambaram. This event is called Natyanjali, literally “worship through dance”. The major Jyotirlinga Shiva temples of India, such as in Varanasi and Somnatha, are particularly frequented on Maha Shivaratri. They serve also as sites for fairs and special events. Though the whole of Varanasi comes together to participate in re-enacting the wedding ceremony of Shiva and Parvati, the most important place for offering prayers is the Tilbhandeshwar temple in southern Varanasi. This is one of the few places in India where people dance in processions after drinking bhaang- a cannabis and sweetened milk preparation. The Mandi fair was started by Raja Ajber Sen around 400 years ago. 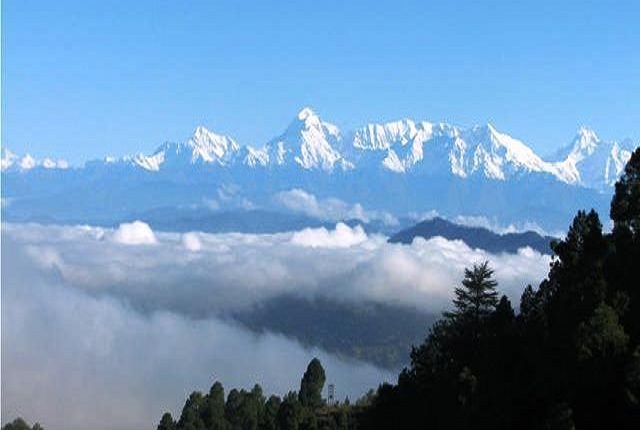 It is particularly famous as a venue for Maha Shivaratri celebrations; it transforms the town of Mandi as devotees pour in. It is believed that all gods and goddesses of the area, said to number more than 200, assemble here on the day of Maha Shivaratri. 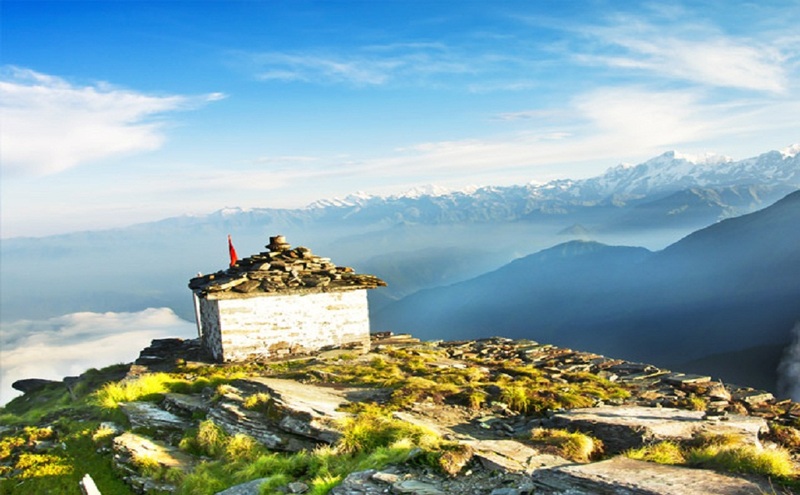 Mandi, located on the banks of Beas, is popularly known as the “Cathedral of Temples” and one of the oldest towns of Himachal Pradesh, with about 81 temples of different Gods and Goddesses on its periphery. Maha Shivaratri is the most important festival in Kashmir Shaivism. It is celebrated as the anniversary of the marriage of Shiva and Parvati. In Kashmir Shaivism, the festival is called Har-ratri or phonetically simpler Haerath or Herath by Shiva faithfuls of the Kashmir region. 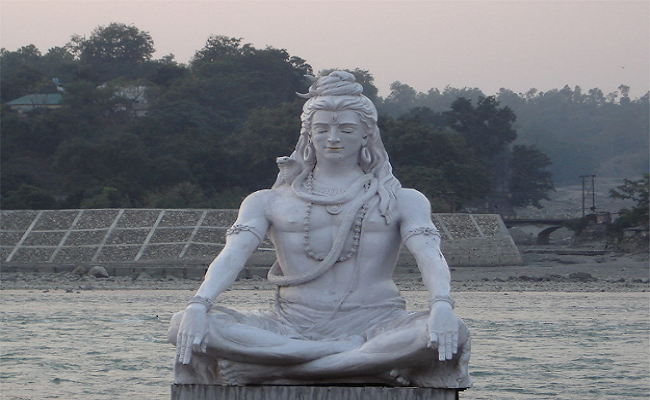 Haridwar and Rishikesh are places visited by lakhs of devotees during Mahashivratri. 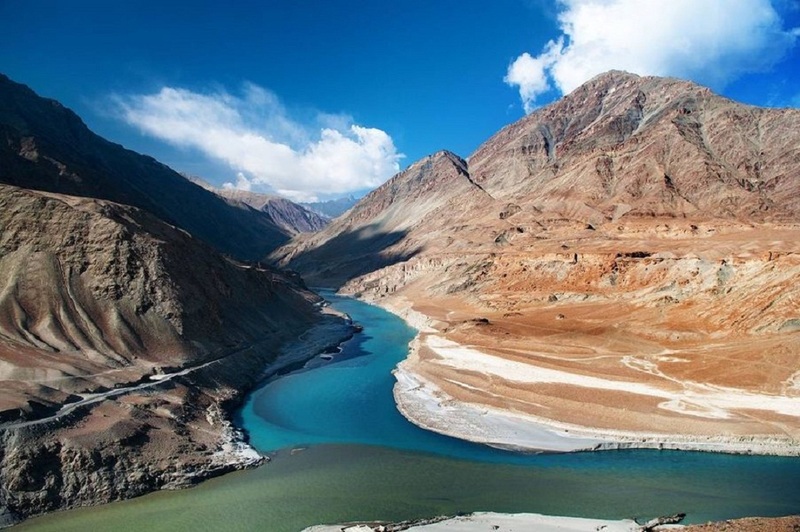 Haridwar, known for it’s ghats is visited by people who offer prayers at Har ki Pauri and at Rishikesh, most devotees will be found at the Neelkanth Mahadev temple and the rest will probably find some place to practice yoga or enjoy some adventure sports. Shibsagar is home to a complex of temples, one of which is a Shiva temple, Shivadol. Sibsagar, now known as Sivadagar was the capital of the Ahom kingdom that built these temples and started the tradition of organizing a fair for Mahashivratri for people of the kingdom to come together. Mahashivaratri in celebrated largely in Ujjain’s Mahakaleshwar Temple which is one of the 12 jyortirlingas. The festival is celebrated on the banks of river Kshipranear the Mahakal forest in Madhya Pradesh. The temple gets it’s name from the forest which has been of religious importance to the locals due to its mention in the puranas. Odisha is home to the Lokanatha Temple in Puri. It is believed that Rama had placed the Shiva lklinga in the exact same spot as it is today, in order to offer prayers to Shiva. The linga is submerged in water through the year and is removed from the water only about three days before Mahashivratri. Devotees queue up for long hours just for one glance of the linga on Mahashivratri. is home to one of the 12 jyortirlingas. Apart from the wedding of Shiva and Parvati, in Srisailam, Mahashivratri also marks the day when Shiva performed the tandava. Andhra Pradesh is also home to the Srikalahasteeswara temple in Srikalahasti, one of the most famous Shiva temples in south India. Each year, hundreds of thousands of devotees visit the temple for the pompous celebration of Shiva and Parvati’s union. The festivities for Mahashivratri go on for 13 days here and the idols of Shiva and Parvati are taken out on processions in elaborately decorated chariots through the town. Maha Shivaratri is celebrated widely in the temples all over Maharashtra, Andhra Pradesh, Karnataka, Kerala, Tamil Nadu and Telangana.